Even before starting Massive Media 2.0 in January 2014, we agreed that no matter how busy we were, we would ensure that the office was a fun and creative space. This would be part of our office-culture and extended into the campaigns we would develop for promoting our agency. We are not much for standard-approach advertising. We operate in an increasingly noisy world, and every day we (and by extension, you) compete against an endless list of companies trying to get some attention. We encourage our clients to forget the conventional and take risks with their marketing, and we wanted to lead by example. As our launch campaign, we designed Cupid’s Brand Guidelines. This ‘tongue-in-cheek’ presentation was aimed squarely at the marketing/design industry and marketing departments of potential client companies. We released the campaign in February 2014 with a hope that this first effort would get noticed, and within two days we had a global audience reading about Cupid. Watching our analytics with nonstop traffic from all around the world, and watching our social media feeds blow up with industry peers sharing the campaign, was an incredible experience. 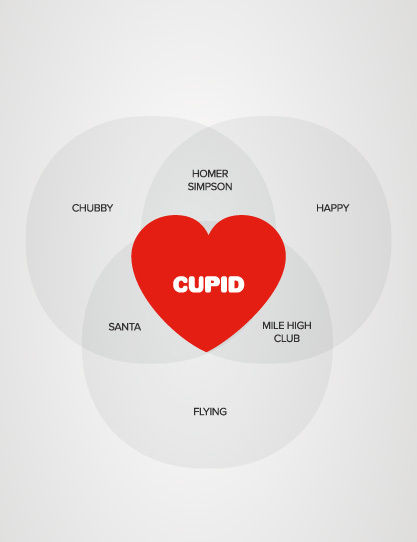 Cupid was our first self-promotion campaign and will be always in our “hearts”. The results of the Cupid campaign encouraged us that we were on the right path with the agency positioning – so we started to plan a second promotion! Where Cupid had an international target audience, our second promotional campaign needed to be more Cayman focused rather than ‘industry’ focused. After a few meetings and the usual disagreements we (as usual) agreed to do whatever Pavel wanted and devised the locally celebrated Chicken Foundation campaign. Launched in the summer of 2014, all chickens were adopted and named within two days. David was called Mr. Chicken for next 4 months. Success! Did our first two campaigns work, or did we just got lucky? Well as the old saying goes, “The harder I work, the luckier I get”. It has now been almost a year since Chicken Foundation and it’s definitely time for our next campaign. In the end, we have our new campaign lined up. No prizes for guessing whose idea it was. Stay tuned and look out for launch in September!